To many meat-eaters, the Impossible Burger is a rude idea. This plant-based beef substitute is designed to look like meat, grill like meat, and taste like meat. As someone who recently tasted an Impossible Burger for the first time, I can safely say that these claims aren’t true. Then, at a buzzy event in Las Vegas, I tried the latest iteration, the Impossible Burger 2.0, and I’m somewhat baffled to admit: It’s good. Close friends of mine wouldn’t describe me as a pessimist, but they would admit that I’m sceptical to a cumbersome degree, especially when it comes to food stuff. That’s how I felt in the days leading up to the Consumer Electronics Show (CES), when I got my first bite of the original Impossible Burger. That tasting happened in anticipation of the second generation Impossible Burger release, and the experience gave me mixed feelings. I’d heard that this plant-based fake-beef burger tasted a lot like real beef. As a former vegetarian, this claim seemed soaked in conjecture. I ate the first generation Impossible Burger in a restaurant near my flat, and it tasted like sawdust. The new one must be better, I thought at the time. Ugh, the new one is better. I showed up at the debut of the Impossible Burger 2.0 with a burger in a bag, all prepared to perform a head-to-head taste test between the real beef and the fake beef option. After a lengthy presentation about how difficult it is to replicate real meat in a lab and some scattered talk about how cow farts are ruining the world, I found myself sitting in front of a hot Impossible Burger 2.0 and a real meat burger, which had become cold and sad due to unusually chilly Las Vegas weather. A crowd gathered around me, a circumstance I hadn’t anticipated. The plant-based Impossible Burger 2.0 got the first bite. Awesome. The burger I brought got the second. Also awesome, but wait—oh no, the fake meat burger tasted extremely amazing. I ate the whole thing. This really annoyed me in ways that I’ll struggle to express. Between you and me, I’ve always felt like the Impossible Burger is a scam. That taste test I mentioned earlier cost me $10. This was at a hot dog spot where one can typically have a hearty dinner for about $6. “Vegan burger!” the guy yelled when my order came up, almost like it was a stunt when somebody ordered the expensive fake hamburger. And when I ate it, I mumbled cuss words to myself, because it tasted like trash. “Can’t believe I have to eat another one of these at CES,” I thought to myself. Like a dope, I did that, and I thought the Impossible Burger 2.0 tasted like a miracle. In truth, it’s science. Impossible Foods grew out of the work of Stanford biochemistry professor Pat Brown, who launched himself on a mission to eliminate the need for industrial animal agriculture nearly a decade ago. That research project ended up spawning a plant-based beef alternative in 2016, and the burger has since found its way into countless restaurants and awards dockets. 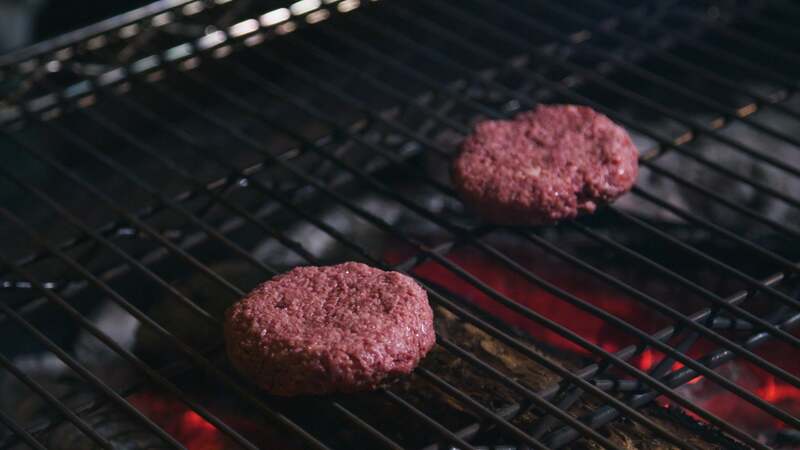 The original Impossible Burger is gluten-free, protein-rich, and curiously beef-like since it’s pink in raw form but crispy brown after some time on the grill. That patty is also the one that I thought tasted like sawdust. The new one is better. It looks a lot like the original, but it’s undeniably more beef-like. According to the Impossible Foods, the second generation burger has been re-engineered from the ground up with an emphasis on highlighting a so-called “heme” molecule found in meat that accounts for the unique flavours that emerge when the meat is cooked. The Impossible Burger has this too, but delivers those flavors without the need to kill a cow. The Impossible Burger 2.0 is also gluten-free, hormone-free, antibiotic-free and packed with protein. While the company was not super specific about exactly how the new formula improved upon the old one, the taste test told me everything I needed to know. At the Impossible Burger event in Las Vegas, I watched a pink patty turn crispy brown and then find its way to a bun, a sauce, and a plate that appeared in front of me, and I can’t lie. I chomped it, and I felt joy. If I were a better former vegetarian, I’d express some point about how I thought this new burger stood the chance of saving rainforests or transforming how we eat protein, but that’s not what was going through my head when I was munching on this faux cow sandwich. The Impossible Burger 2.0 just tasted great. Alongside a cold genuine meat burger, it tasted very great. I’d go so far as to say that it would still taste great if my meat burger had been hot and lovely. The fact that I’m fantasising about the ultimate perfectly matched real meat versus Impossible Burger battle royale says a lot. We might be on the verge of fake meat matching real meat. The new Impossible Burger makes me curious about how this concept might change the way we eat. At the end of the day, my grumpy former vegetarian self will still pick the greasy ground beef mix if given the option. But I might not notice if someone served me an Impossible Burger instead. It would be a little bit rude to surprise me like that since I’m typically excited about getting a steamy beef burger. But who knows. I might not know the difference.